Named for the dog protecting Hel’s gate in Norse mythology that will go to any lengths to protect its master, GARM offers the user increased confidence, enhancing mobility and lethality, in the toughest conditions. Designed and created in our in-house factories, and tested in our textile laboratories, our innovative and advanced production capabilities are enhanced by state-of-the-art technology such as lamination, adhesive bonding and laser-cutting. Fabrics are flame retardant, insect repellent and designed to manage the wearer’s optical and acoustic signature. Intended to fulfill both military and law enforcement requirements, GARM has been designed with an adaptable system configuration, ensuring the wearer is always appropriately dressed, whether in the Scandinavian mountains, or East African desert. The soldier-centred design is based on an understanding of the operational requirements of our end-users, and customer feedback. Our combat clothing is ergonomic, lightweight, durable and compressible, and effective at managing moisture and heat transfer. 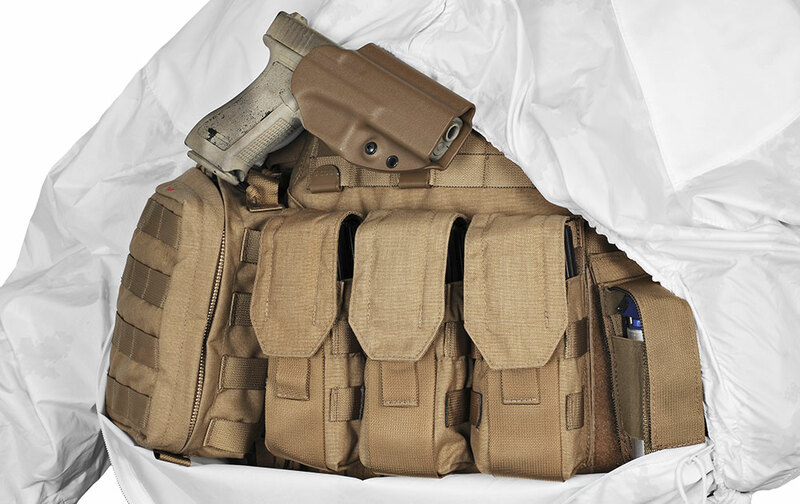 We understand that individuals in conflict areas already carry too much weight, so our aim is to reduce any unnecessary material, accessories or seams. We are constantly developing lighter and softer materials whilst increasing the levels of durability and protection. NFM FR products will not melt or drip, protecting the user from serious burns and injuries caused by fire and explosions. The more layers of FR garments worn, the greater the protection. 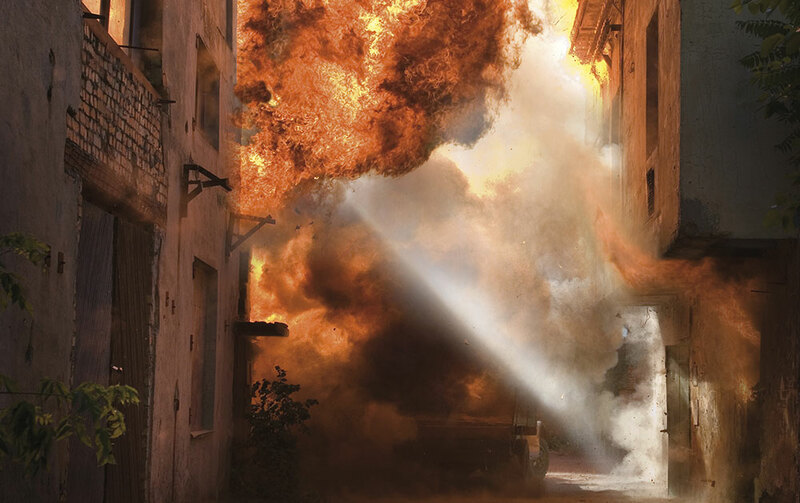 The combat layer is essential during direct exposure to fire, as it prevents the spread of the fire and melt/drip of a fabric and accessories. 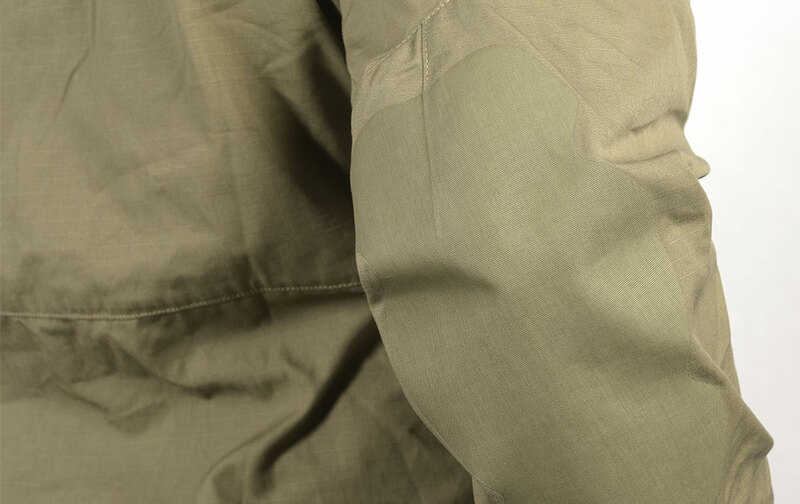 The base layer fabrics limit heat transfer, preventing melting onto the skin. 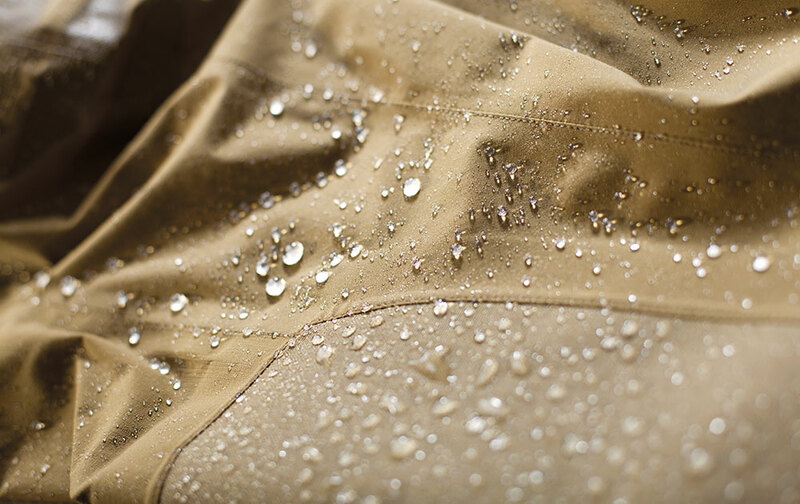 NFM-developed materials are inherently FR, providing stable protection even after countless wash cycles. During military operations, soldiers must minimize their visibility from human and optical sensors. NFM’s Signature Management increases the soldier’s survivability as he cannot be shot as long as he remains undetected. Our combat clothing facilitates signature management by using effective camouflage patterns and colors while simultaneously reducing the Near Infrared (NIR) signature. The noise a soldier makes when he moves, or when operating equipment can endanger his life. 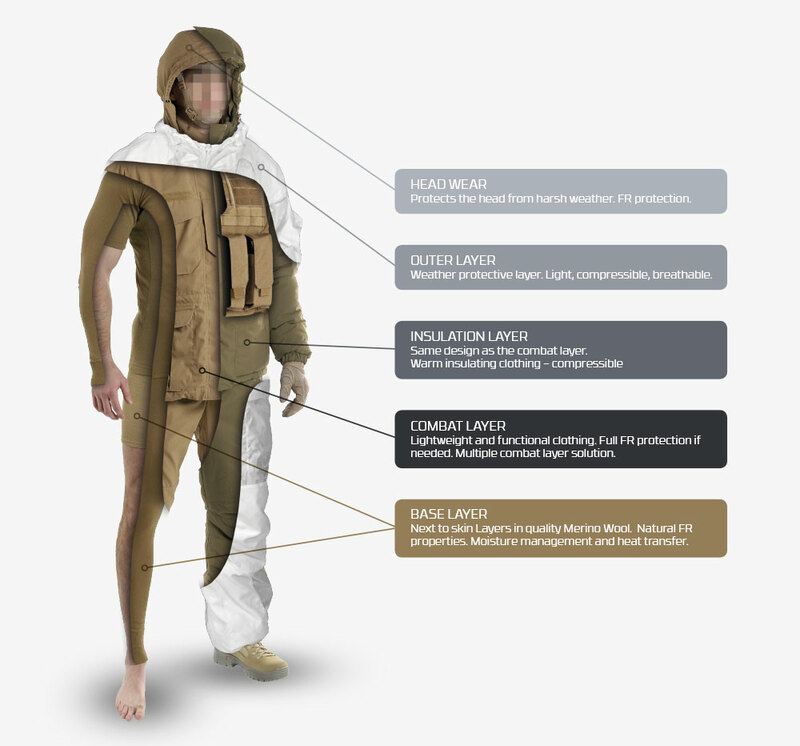 The two main factors which affect the noise signature on a combat clothing solution are the fit and the choice of raw materials. We use only suitable fabrics and a fit-for-purpose sizing system to ensure the acoustic signature is as close as possible to being eliminated.